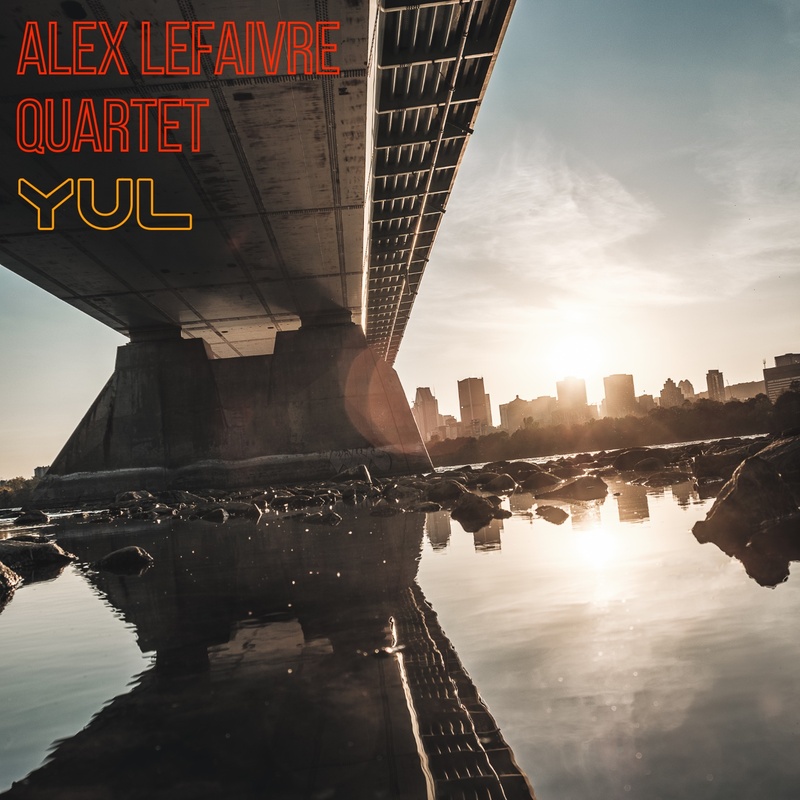 Drawing his inspiration from Montreal’s distinct urban energy, bass player Alex Lefaivre presents a series of modern jazz originals written for some of his home town’s most original musicians, notably Erik Hove on alto saxophone, Nicolas Ferron on guitar as well as Mark Nelson on drums. The lyrical, song-like melodies develop over interesting forms that leave a lot of room for the group to interact and showcase their conversational improvisations. Taking its name from Montreal’s airport code, YUL takes the listener on a cinematic trip through the city, where dreamy, hazy summer vibes are intertwined with a gritty, metropolitan edge. A highlight of this set is a surprising cover of John Carpenter’s theme to his cult-classic 1978 horror movie, Halloween. Alex Lefaivre is a founding member of Montreal’s Parc X Trio, one of Canada’s premier jazz groups. Parc X Trio have released 7 recordings, the latest of which, Dream, is released through Challenge Records International. They have toured across Canada, Mexico, the USA and Europe. Alex is also a founding member of Multiple Chord Music (MCM), an independent jazz label that currently holds 19 artists on its roster and has released over 30 recordings.